His Cross for a mast on which you must spread your resolutions as a sail. Your anchor shall be a profound confidence in Him, and you shall sail prosperously." Join us for Salesian Community Mass on April 28 at 10 a.m. in the Nolan Center, as part of Reunion events. Read a recent Loving Life, Living Jesus reflection by Caroline Mendoza Horrigan '98. Want to contribute a reflection? Reach out. Have you KonMari'ed your house this spring? If you've found old Visitation items or photos, please consider donating to our Archives. Calling all past techies, actresses, and supportive theater families - on April 6 at 5 p.m., there will be a reception in Lalor House in advance of the evening performance of the Visi-fied classic, "Seven Brides for Seven Brothers." RSVP to Suzie Egan, and purchase your performance tickets here! Join alumnae, the Sisters, parents, students, and faculty to pray the Stations of the Cross. Children are welcome! The evening begins with a simple soup supper at 6 p.m. in the Dining Room followed by prayer. RSVP here by April 5. Kick off Reunion weekend at our Happy Hour on campus, then join in on all the reunion festivities! Don't forget to make your reunion gift to support the Visitation Annual Fund and help your class earn the highest participation. Join this community-wide Mass and celebration of Dan Kerns in his last year as Head of School. Mass at 5 p.m. will be followed by a reception in the Quad. RSVP here. If you would like to make a gift in his honor, support the Dan Kerns Legacy Fund here. Jamie Adasi is a conscious entrepreneur, director of faith and spirituality at the Mental Health Center of Denver, writer, speaker, and owner of Jamie Adasi Consulting, LLC. 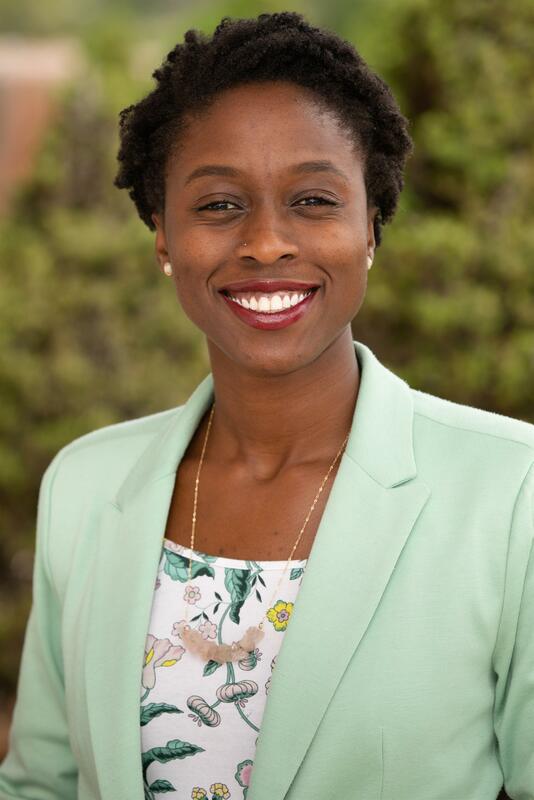 As a first-generation Nigerian-American and graduate of Visitation, Jamie's mission is to help people create the lives they desire through her practical and spiritual teachings. Starting in high school, Jamie began her self-reflective work educating others about multicultural and social justice issues affecting the nation. Yesterday, she spoke at our 17th annual Diversity Day - an event she once helped plan as a student - about how to use Salesian Spirituality as a tool for social justice. Read on to learn more about Jamie. 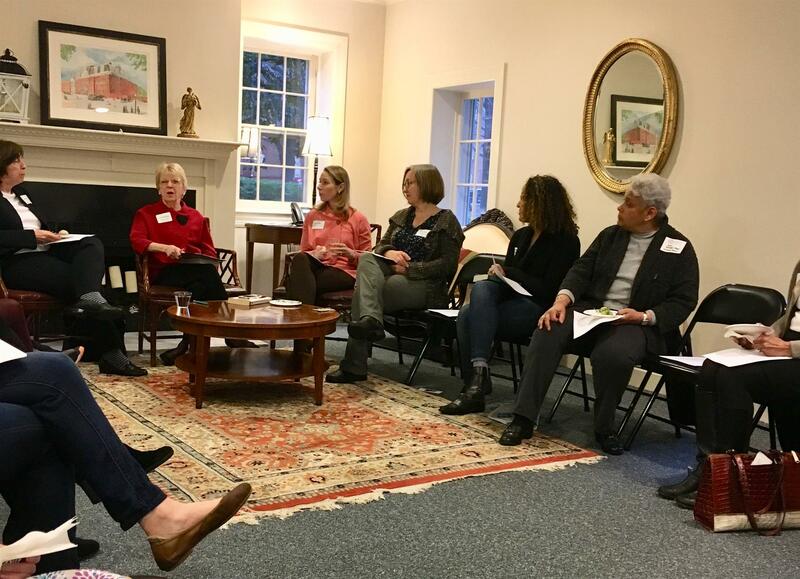 Alumnae Book Club: "The Heart is a Lonely Hunter"
Nearly 30 alumnae came together for our second alumnae book club, discussing Carson McCuller's "The Heart is a Lonely Hunter" with former English teacher Catherine Mattingly. With participation both over the phone and in person at Lalor House, the conversation lasted well into the evening. Sister Joan Foley '49 was featured in the Northeast Times for her work to help create a self-sustaining thrift shop, fundraising for the Medical Mission Sisters' longstanding international development and health initiatives. Rose Ann Alderson Sharp '62 was named a Women of Distinction Honoree "for her founding of the Never Again CA group, which advocates for gun control," as noted by Del Mar Times. Maggie Rose '06 appeared on the Today Show last week, performing from her new album, "Change the Whole Thing." Maine sophomore Maeve Carroll '17 played in this year's March Madness women's bracket, and was featured in a Washington Post article about the number of local high school athletes that are a part of the top collegiate basketball teams. Missy Beuchert '71, Mary Beth Beuchert Klotz '73, Ann Beuchert Massey '77, Kathy Beuchert Kehoe '80, Meg Beuchert Jones '84 on the death of their mother Mae Beuchert, and Anne Glassie Ciriello '04, Meghan Kehoe '08, Lucy Beuchert '10, Sammi Massey '10, and Lilly Kehoe '11, on the death of their grandmother.